In November 2017 the Motsepe Foundation and 33 Religious and Faith-based Organisations hosted the “2017 National Day of Prayer for All South Africans” which was very successful and attended by more than 100 000 people. pray for God’s guidance, leadership and blessings for a bright future for all South Africans. 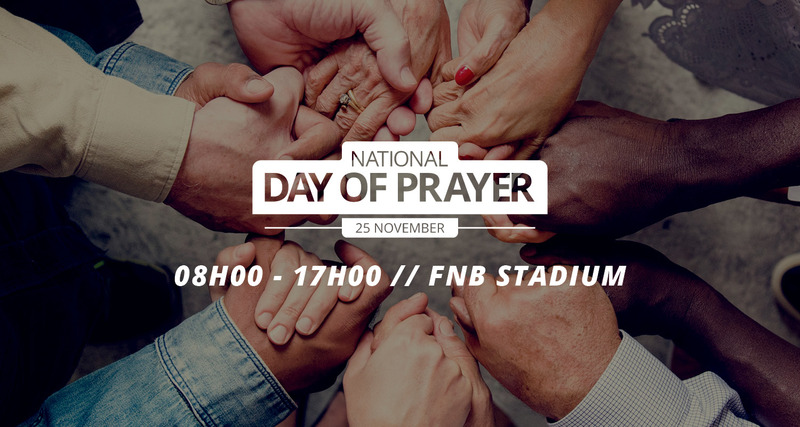 Each of the Religious and Faith-based Organisations may expand or add to the above prayers when they lead the congregation in prayer at the FNB Stadium. The “2018 National Day of Prayer for All South Africans” will also, as was the case in 2017, be attended by prominent South African Kings and Traditional Leaders, representatives of the 33 Religious and Faith-based Organisations and their congregations, government and business leaders, representatives from the major political parties in South Africa, as well as representatives from trade union, non-governmental and community-based organisations. Everybody is invited to attend the “2018 National Day of Prayer for All South Africans”. your local Religious and Faith-based Organisation. International Women’s Day: Motsepe Foundation Women’s Unit calls for a Gender Balanced Society.